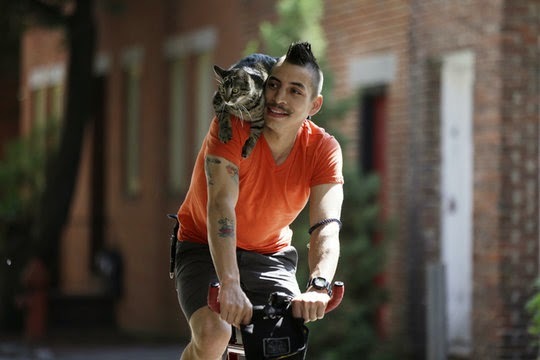 Rudi Saldia often takes his cat Mary Jane for a bike ride through Philadelphia, USA. They became Internet famous when Saldia filmed himself with a GoPro sports camera to prove to his mom that he was taking Mary Jane (nicknamed MJ) for a spin. 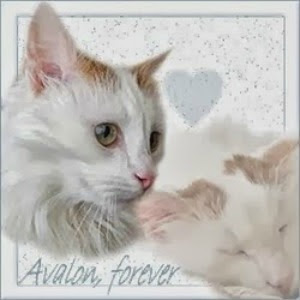 "She enjoys seeing everything and having the wind blow in her ears, especially being an indoors cat. This is really her only time outside," Saldia says about his famous feline. 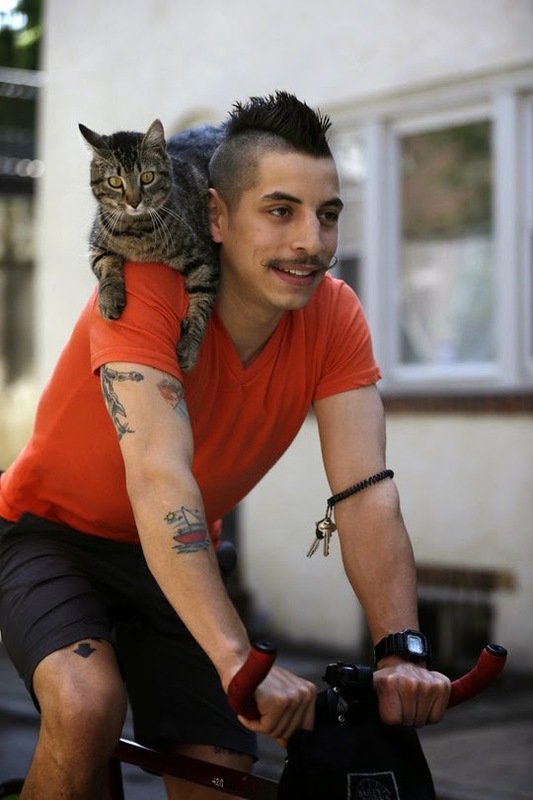 Il a tout compris ce beau tabby. Mon Hisia aussi est chat d'épaule. 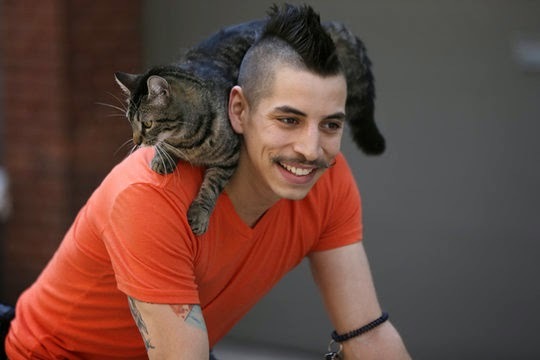 How cool that the cat stays on his shoulder like that! Great idea for a blogfest! I'll check out those blogs. Now that's truly a traveling cat! Linda just made the comment we were going to say. Have a fabulous Friday. There can never be enough blogs about cats IMO. Cuteness everywhere! Horror cats - that I must check out! 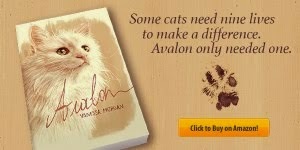 A cat lover's dream post! 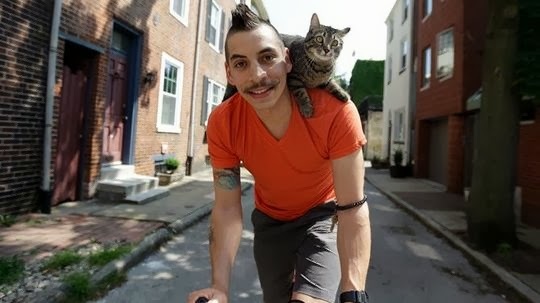 Love the pic of you with your cat! I'm not sure if I know any of these bloggers! I will have to check them out. Thanks a lot for having included me in this blogfest, I am very honored! I don't know the other cat blogs. I'll have to check them out! such an adventurous cat, Love it! Even her dress had cats on it! Holy darn moly!!! Now that cat knows how to travel! there are so many that I would miss that I couldn't even begin to post them all! That sounds amazing. If I ever go to Las Vegas I’ll have to check out all these restaurants, the city looks amazing.